Comprised of Burke GM, Burke Subaru, Burke Volkswagen, and Burke Cadillac, Burke Motor Group has been proudly serving Cape May County and surrounding areas for over 100 years! With more than a century of experience to its name, Burke Motor Group has become an integral part of the community. Like any good neighbor, the team at Burke Motor Group is always happy to give back and support local philanthropies. As such, the auto group is proud to introduce its new Burke Promise Initiative! Now through the end of June 2019, for every vehicle purchased at one of its dealerships, Burke Motor Group will make a donation to a local organization. Moreover, bona fide customers who buy a car at Burke Motor Group will also be the ones to choose which philanthropic cause will be supported by the dealership’s donation in honor of their purchase. As nominated by the community, the new Burke Promise Initiative is proud to sponsor the following organizations: Ancient Order of Hibernians, AMVETS Post #21, Humane Society of Ocean City and Lazarus House – all of which are located in Southern New Jersey. 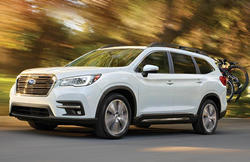 As alluded to earlier, Burke Motor Group is home to an extensive inventory with a wide variety of vehicles from many automakers, such as Subaru, Volkswagen, Chevrolet, GMC, Buick, and Cadillac. Whether a prospective car customer is looking for a new sedan, SUV or truck, Burke Motor Group has dozens of top-notch options to choose from. To learn more about the new Burke Promise Initiative, all are welcome to contact the auto group’s sales team by calling 609-465-6000. To view the current new car inventories, curious consumers can visit Burke Motor Group online at http://www.burkemotorgroup.com.